Everyone loves a great story. 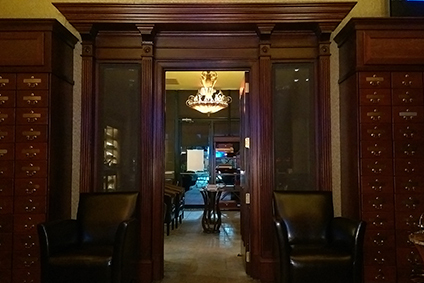 Our story is about the creation of a cigar shop and lounge where you can have the ultimate smoking experience. 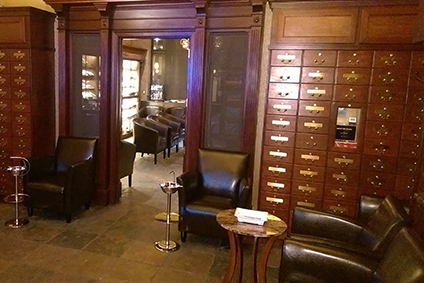 From the moment you enter our state-of-the-art humidified store, our passion for cigars is evident. But, as we have learned over the years, the experience is not just about the cigar itself. The combination of a fine cigar and the environment in which it is enjoyed—the people, the place, and the atmosphere—is what makes the event complete. We invite you to experience our amazing shop and lounge. We are open seven days a week. 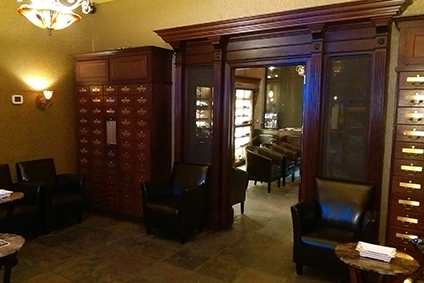 From the Spanish cedar and mahogany cabinets that line our walls, to the customized personal humidors and quality entertainment system in the Titan lounge, we have spared no expense to create an environment that is rich and welcoming. 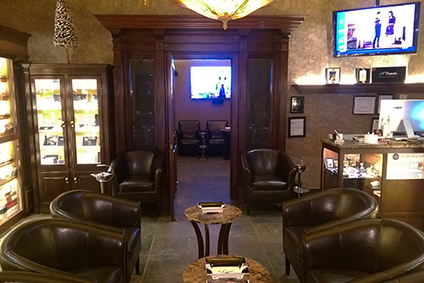 For high-quality smokes and assorted spirits in a relaxed atmosphere, the Titan experience is like no other. 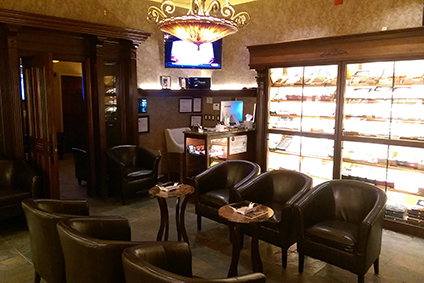 Visit our premier cigar shop in Anne Arundel County and the surrounding region, located in The Village at Waugh Chapel in Gambrills, Maryland. 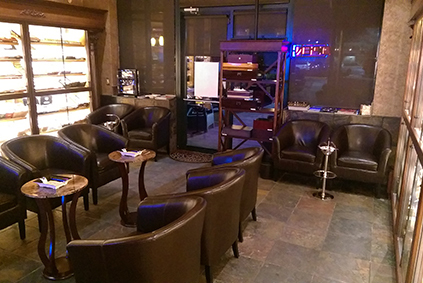 We are a retail cigar shop and lounge in the Anne Arundel County area with a liquor license. We frequently pair our cigars with spirits. 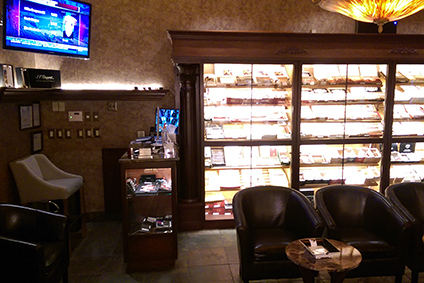 Also, we offer a wide variety of premium and hard-to-find cigars that other stores do not have, as well as cigar accessories including humidors, lighters, cutters, and more. Our friendly and knowledgeable staff are pleased to answer your questions and assist you with your selections. Stop by anytime and tell us your story.